Dr. Xia (pronounced as "Shaw") earned her Doctor of Dental Surgery (D.D.S.) degree from University Of Pacific in San Francisco, California. 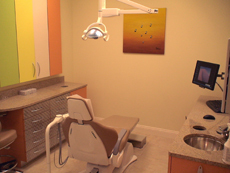 She is licensed to practice dentistry in the states of Virginia and California. 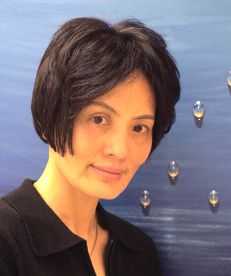 Dr. Xia graduated from Shanghai Medical University and was licensed to practice dentistry in China before she immigrated to United States in the late 80's. 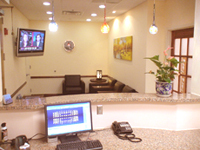 She speaks fluent Chinese and has practiced General Dentistry in North Virginia in the past decade. She is a member of the American Dental Association (ADA), Northern Virginia Dental Society (NVDS) and Academy of General Dentistry (AGD). Dr. Xia's comprehensive diagnosis and treatment approach have won her patients’ trust and confidence. Her skill and experience in all aspects of General Dentistry have enabled her to carry out all clinical treatments with excellence. She believes it is very important to listen carefully to each individual patient's needs and concerns and address these needs and concerns with the utmost professional skills and personal care. Through professional excellence, Dr. Xia hopes every patient of hers will find their visit to her office a pleasant and satisfactory experience. Dr. Xia is an avid reader and very passionate swimmer. She enjoys cooking and spending times with her family and friends. 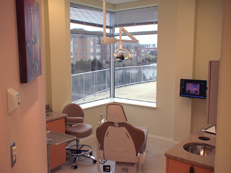 Patients in our treatment rooms enjoy a beautiful lake view, and on a clear day, an open blue sky. This pleasant and relaxed environment is further enhanced by our state of the art modem office settings. 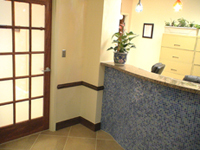 Our office is located in a brand new office building with ample parking. It is easily accessible from Route 7, Route 28 and Cascades Parkway. Sterling Costco is about 3 minutes from us.